In the 1930s, a young American girl was on vacation with her family in the Copper Canyon region of Mexico. She was off exploring the area when she came across an abandoned mining tunnel. Inside the tunnel she found a full human skeleton. Next to the skeleton was a mound of dirt. Sticking out of the dirt and wrapped around the arm of the other skeleton was a human arm bone. The young girl began to dig and discovered that the mound was a shallow grave. The body buried there is one of the strangest discoveries anyone has ever made. The girl grabbed the skulls from both skeletons and carried them back with her to the United States. They stayed in storage until her death in 1998 and since then they have been the subject of much debate and controversy in the paranormal and scientific community. The skull was carbon dated and estimated to be 900 years old. It also appeared to be the skull of a child and rumors immediately began to circulate that his could be the skull of an alien being. The skull was dubbed “starchild”. The skull of the starchild was misshapen to say the least. 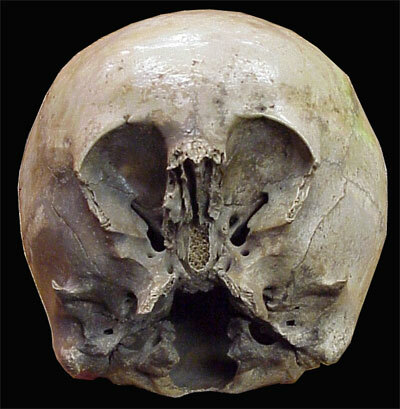 Was this a deformity or perhaps the person buried there partook in the common Native American practice of head shaping or cradleboarding? A look at scientific evidence says that neither one of these scenarios are likely. There is one way to definitively prove what the starchild is and that is DNA analysis. DNA tests dating back to the late 90s have always returned the mitochondrial DNA. Mitochondrial DNA can be used to determine what species the mother was, and it did show that the starchild’s mother was, in fact, a human but no nuclear DNA could be recovered. Nuclear DNA could be used to determine whether the starchild’s father was a human or some other species. Could the starchild be some alien-human hybrid, or is it merely a human child with a terrible deformity that is unkown to science? This has been the debate as of late, but recently some new developments in the starchild case may change the way we look at the world. Earlier this year (2010) Lloyd Pye, the man who spearheads the research of the starchild skull, sent an Email to those who subscribe to his Project Starchild Newsletter. In the email, Pye claims to have recently met with geneticists who have successfully recovered nuclear DNA from the starchild skull. While Pye has yet to announce anything on his website or release a public statement, he claims in the email that tests of the nuclear DNA determined that the father of starchild matches no known species. Also, if one concludes that cradle boarding or a deformity is the reason for the starchild’s strange appearance they would be ignoring several other astonishing factors. Factors that simply cannot be explained way. While the skull does share certain characteristics with a human skull there are several differences that anyone studying it should not ignore. First, the skull is much more durable than a human skull despite being half as dense and half the weight of a regular skull. This increased durability is believed to be the result of very strange fibers that are woven into the bone. There is also a strange red residue in the bone. The fibers and residue present in the starchild are not featured in any other known animal on the planet. Also, due to the starchild’s lack of an inion the whole head would have sat at a different angle than a normal human head. The neck muscles would also have connected to a different area of the skull other than the inion due to its absence. This means that the neck would have been half the size of a normal human neck. Along with the missing inion, there is also a complete absence of the frontal sinus cavity. The eyes are also very unusual. For one the sockets are not even an inch deep. The human eye socket is two inches deep. The eyes are also centered with the nose while human eyes are above the nose. The optic nerve canal of the starchild is situated at the bottom of the socket while normal human optic nerve canals are located in the back of the socket. So what is the starchild? Many theories have been put forward ranging from some unknown deformity to alien being, but how can we be for sure of what the starchild was? 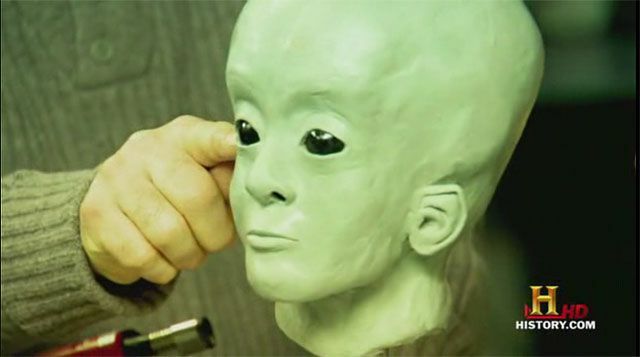 Many artists have attempted to recreate the physical appearance of the strachild hoping this could give us some insight into to what exactly we were looking at, but that is not an exact science. Also in the email Pye claims that in the coming months we will have proof that part of the starchild’s gnome is not of Earth. Pye does not reveal the name of the geneticists or the facility that is involved in the genetic research of the starchild, but assures the subscribers of his newsletter that those involved are respected and qualified geneticists whose identity will be revealed as soon as they are prepared for the media bombardment. What started as an accidental discovery by a curious young girl has become one of the most controversial scientific and paranormal debates of the last century. The story has been featured on countless television shows and has been the subject of many writings and books, but the story is clearly not over yet. We all await Pye’s official announcement on the findings of the genetic analysis. Even then, though, the story will not be over. Now the debate shall begin on whether the starchild is a true alien-hybrid or some bizarre genetic phenomenon.